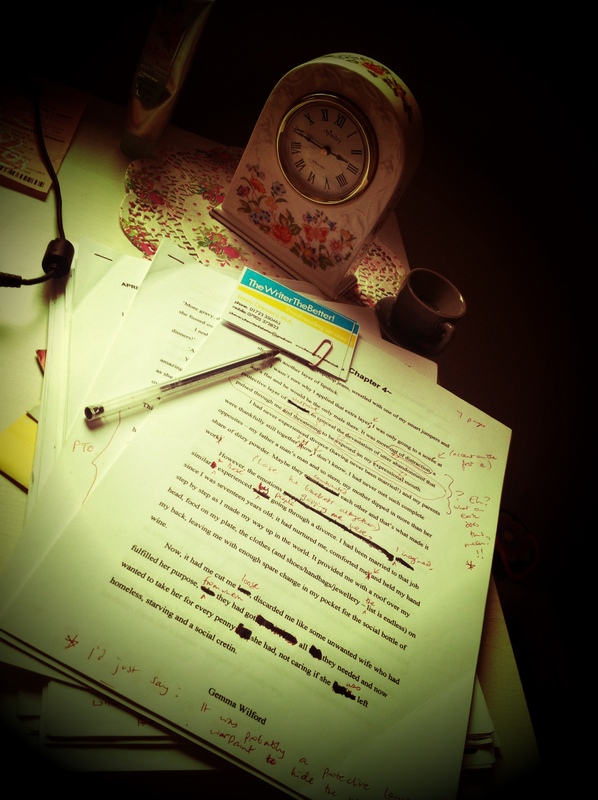 On Friday, I finished updating the first ten chapter’s of my manuscript onto the computer from the hard copy revisions that Jenny, my editor, had sent me. I’ve found the experience has been extremely useful as I now know what to focus on when editing the rest of the novel before submitting it to her. She’s looked at it from a reader’s perspective and has therefore highlighted areas that you just don’t seem to pick up on when you have author-tunnel-vision. This has meant cutting down excess words that isn’t relevant and which slows the story down . It’s made me think about the whole novel again and I’ve decided to do further research and add more scenes to it. As part of this, I’m reading some more chick-lit books (good excuse!) not only for pleasure, but to look at the pace of the story and writing style. Over the weekend, I’ve worked on Chapter’s 11 and 12. I’ve scrutinised each and spent a good few hours on both. I’ve also had another mess around with editing my synopsis. I think I’m at a point where it needs to be looked at by Jenny for some help and suggestions. This has all been a huge learning process and I am enjoying every second of it! I have learnt to be patient (which is not one of my strengths!) and to take time with it, rather than rushing through just to try and get it published. If you’re in the process of writing or editing your novel, how are things going for you? Please feel free to share below! This entry was posted in Uncategorized and tagged Communications, Reading (process), Writing, Writing and Editing.